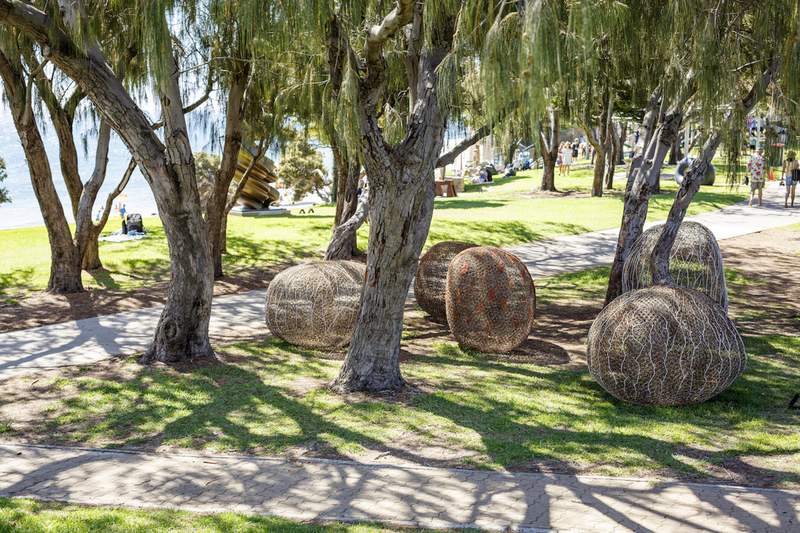 Looking through the sculptures they are created from recycled fencing wire sourced from the wheatbelt of W.A. sourced from the original Rabbit Proof Fence. The sculptures also consist of another layer of crocheted copper wire and twisted armiture wire.